Even though eggs have been singled out for high cholesterol levels, they’re also touted as offering health benefits. 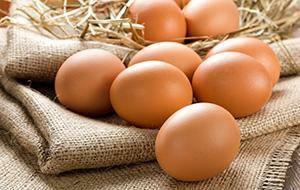 Eggs are a good source of high-quality protein, and eggs contain choline, a nutrient found mostly in the yolk. One function of choline in the body is that it is an important component of acetylcholine—a neurotransmitter that carries messages from and to nerves. One study revealed that women with a high intake of choline were24 percent less likely to get breast cancer. And eggs are high in the antioxidants lutein and zeaxanthin, which have been shown to help prevent macular degeneration. And finally, eggs contain a certain sequence of amino acids that makes egg protein easy for your body to absorb; this means that hardboiled eggs are a great muscle-repair food after a hard workout. Include hard-boiled eggs in your lunch bag; make a healthy egg salad with hard-boiled eggs, fresh lemon juice, olive oil, leeks and dill; scramble eggs with tofu; make a tasty body builder omelet with egg whites, fat-free cheese, mushrooms, onions, green peppers, and tomatoes; whip up a Mediterranean egg scramble with onion, tomato, Kalamata olives, eggs, oregano, Feta cheese and salt and pepper; or enjoy poached eggs over spinach and rice.